Looking for something simple and easy to make for your crowd on Super Bowl Sunday or for any upcoming party that you will be hosting? Try this Cheesy Bacon Ranch Dip. 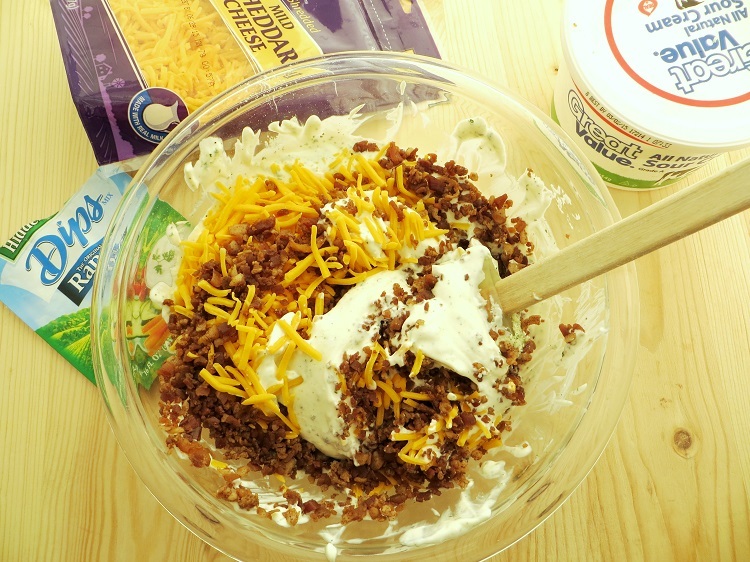 Bacon, cheddar, and ranch all in one dip is perfection! There are only 4 ingredients and it takes all of 5 minutes to mix. Make sure you make this dip ahead to allow all of the different flavors to combine and the ranch dip mix to totally dissolve. You can make it cheesier or more “bacony” by adjusting the amounts to taste. This dip will go well with crackers, chips or a variety of veggies. It is also super with crunchy bread-sticks or bagel chips. 1. Combine all ingredients in a bowl, and mix well. Refrigerate for several hours to allow flavors to combine. 2. Serve with crackers, veggies and/ or chips. Your kids will love this. Enjoy! Combine all ingredients in a bowl, and mix well. Refrigerate for several hours to allow flavors to combine. That sounds AWESOME. We are having people over for the big game on Sunday and I think I might serve this. This would be a great, simple recipe for the Superbowl. This is the first we aren’t having a party in over a decade and husband and I are just going to take it easy and have some snacks and this one looks like one I will definitely be adding to the list! That is something I think a lot of people would enjoy at the Super Bowl. Cheesy Bacon Ranch dip is a must have for any party. Who doesn’t love cheese, bacon and ranch? This sounds amazing. Anything with bacon and ranch is a win in my home. Oh this looks so good! Perfect superbowl recipe! This sounds like a great dip. I’m having a Super Bowl Party on Sunday and I think this would be a great big hit! Go Pats! I always make this ranch dip but I’ve never thought of adding cheese and bacon bits to it. What a fantastic idea! Cheese, bacon, AND ranch? This is the perfect combo for a delicious dip. This would be so good at my next party! Wow this is a great dip recipe. Bacon and cheese flavor sounds great. what a yummy sounding recipe! I am going to try it out for the big game this weekend. Anything with bacon and cheese should not have leftovers! This looks scrumptious! I’m adding this to my Super Bowl party food list! That looks delicious! I’d like to sit down with a bag of chips and a bowl of that dip right now! This sounds like a dangerous combination for me. I fear I would scarf the entire bowl down in one sitting lol. This looks so good! We have a couple get together during the year and this is exactly what I need to make! This sounds like a amazing dip. I will have to make some this weekend for the Hockey game. My mom used to make something similar to this and would never give us the recipe! I’m beyond stoked to try this. I hope it tastes like hers, so I can stop asking for her recipe. Ha-ha! Oh this looks amazing I would love to have this for my lunch today. It’s been ages since I have had a bacon ranch dip like this. It used to be my favorite chip dip! That is yummy, yummy, yummy! I will add this to our menu- thanks! Cheese, ranch and bacon is such an amazing combo. This dip would be dangerous for me. I could easily eat a whole bowl of this stuff. Super yummy! I love all of those elements, I never thought to put them altogether. 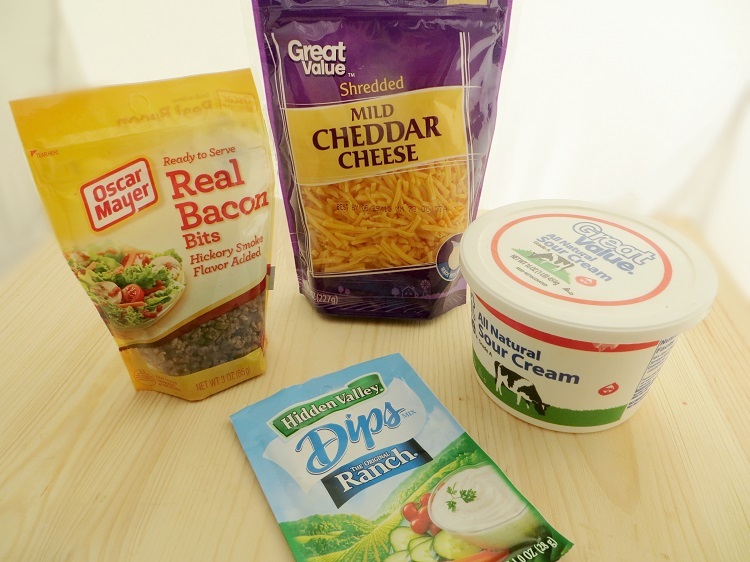 This is a great recipe for Cheesy Bacon and Ranch Dip. All of my children love bacon, cheese and ranch dressing. Who doesn’t ?! This looked so good, I’m making this for a party on Wednesday. I thank you for the share. What a wonderful delicious simple recipe to make. I can’t wait to try it. I love how few ingredients there are. I know this will go over so good with my family. I am always looking for delicious recipes like this one to try. It looks so good! Thanks for sharing it. I am always looking for new dips for those Sunday football games. This looks delicious and very easy. I can’t believe how simple this is! And it looks so good! i love eating bacon this time with cheese,,, i love the recipe, thanks for sharing it to all. 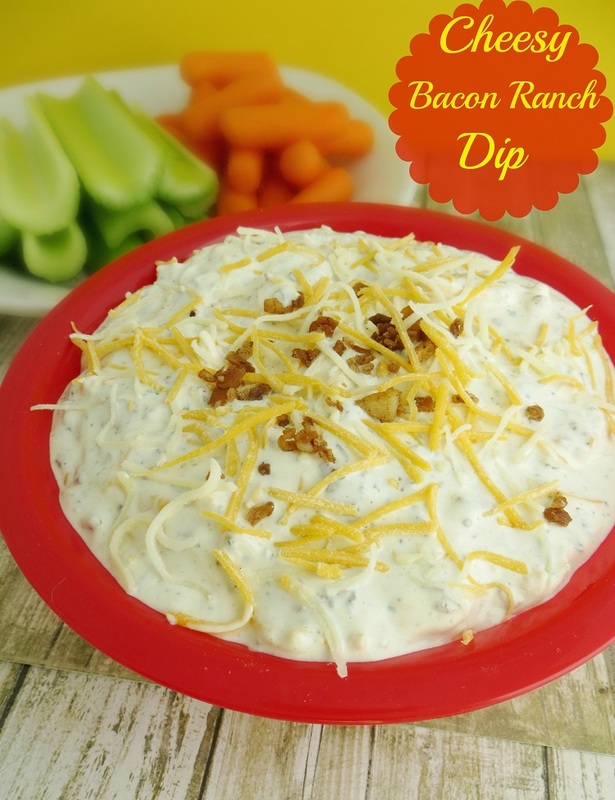 Love this super easy Cheesy Bacon Ranch Dip for Super Bowl parties! Or any party for that matter! One of my brothers is always whining he wants ranch dip with his chips, even tho everyone else wants onion dip. So next family get-together I am making this special for him! Looks delicious too! Thank you!! Can’t wait to make this super easy dip recipe for my finicky brother. Everyone else always wants onion dip at our family get-togethers except for him. Thanks for the help! Next time I’m making him this!